Let’s do the organization challenge! I don’t know about you, my my house is so cluttered most of the time. We all know how clutter is making us feel (newsflash: depressed) so let’s do something to fix it that won’t overwhelm us. My plan is to just take a few minutes to organize one thing a day. Then, by the end of the month, everything will be done! And hey, if you want to get really proactive and get it done sooner, you can pick two things a day. The choice is yours. And guess what? 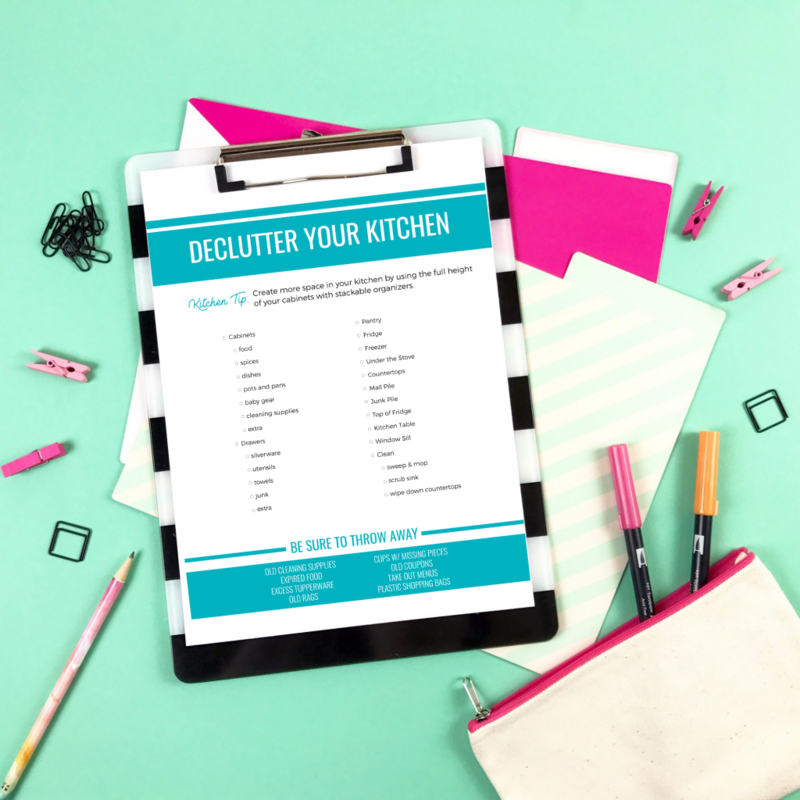 I just created an entire Declutter Workbook! It takes you room by room and address all the questions that are keeping you from letting go of all that stuff. If you want to keep track on paper like I do, you can print this off right here. Just click and print. If you’re looking for something more robust, something to hold your hand and slowly walk you through step by step, this 60-day de-clutter course is incredible. It two months your life will be totally free from clutter and you will feel amazing! If not, make sure you print the Declutter workbook!